BagVerify provides a complete list of all the Chanel Stores online. We review each seller and give them a rank, users can also vote for their favorite Chanel Stores. Find the Best Chanel Stores Near You! Our list of Chanel stores includes the most popular Chanel retail stores that sell Chanel bags. For every store that we add to this list, we have reviewed them and searched for history of complaints. Although Chanel retail stores are highly unlikely to sell fake bags, the buyer experience will definitely vary from one store to another. For this reason, we have decided to look into the most popular Chanel retail stores and provide you with all of the information we could find. It’s important to always buy from retail stores that will provide you with a pleasurable experience. Many factors can vary from one location to another including waiting time for receipt of the bag, friendliness of the staff members and much more. 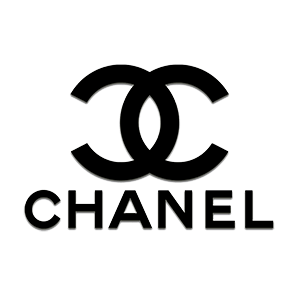 By taking a look at our overview of each store along with the user reviews, you will be able to find a Chanel retail store that satisfies your needs. Gathering feedback from people who have actually bought bags from the stores listed here is incredibly important to us. We want to know what the experience was like, how the staff treated you, how long you had to wait and any other relevant details. By writing user reviews on BagVerify, you are not only sharing your experience; you’re also educating potential buyers. BagVerify is all about educating Hermès and Chanel bag buyers, which is why it’s important for you to share your experience. The more people who leave user reviews, the easier it will become to make a decision for future customers. Writing a user review on BagVerify is incredibly simple; just choose a star rating out of 5 and describe what the experience was like.